Skopelos Town is set in a natural bay and surely has to be one of the most beautiful island capitals in the Aegean. 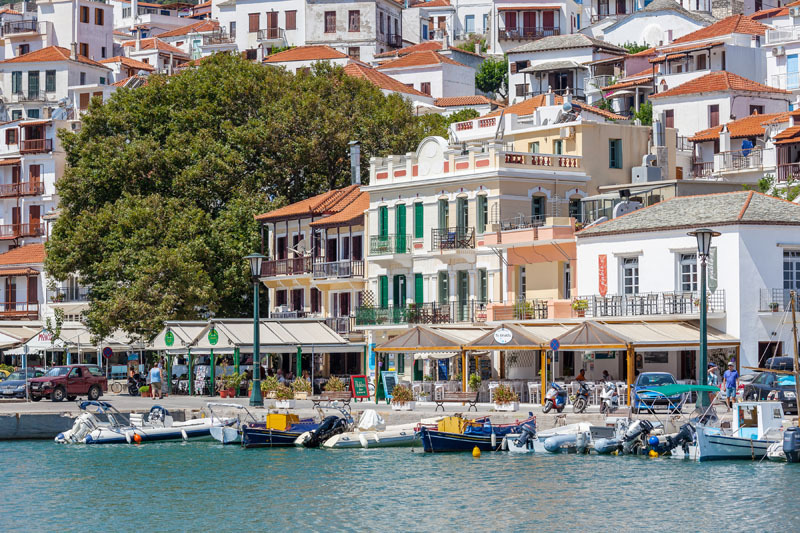 With its churches, monasteries’, history and tradition, charming Skopelos Town is a fascinating place for all. 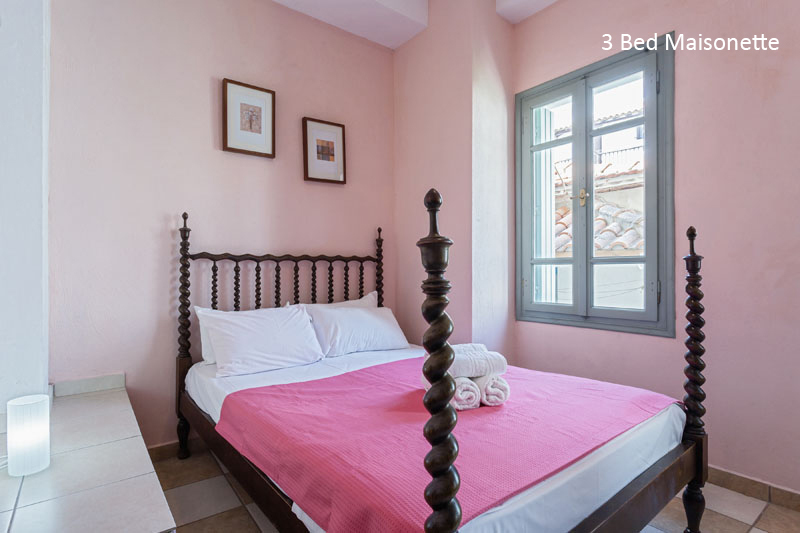 In the heart of the town is the Faros Town House which overlooks the bustling harbour front. 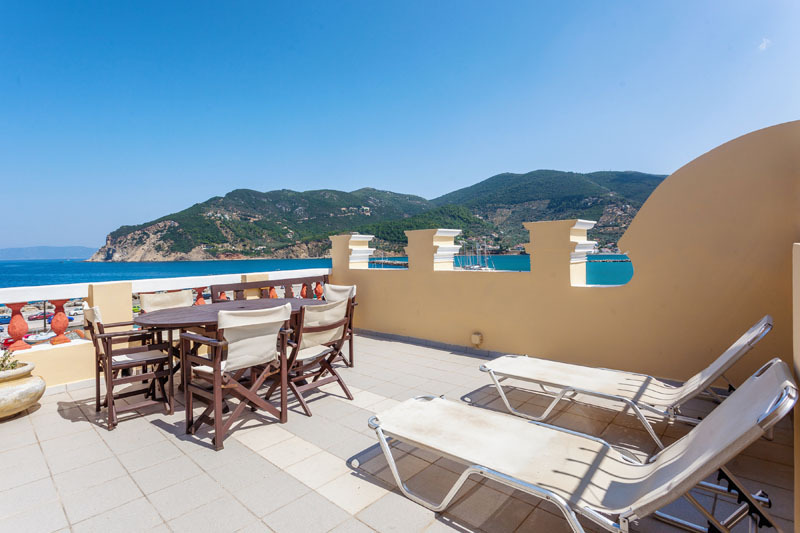 Not many properties boast such amazing views from their balconies but the Faros can. 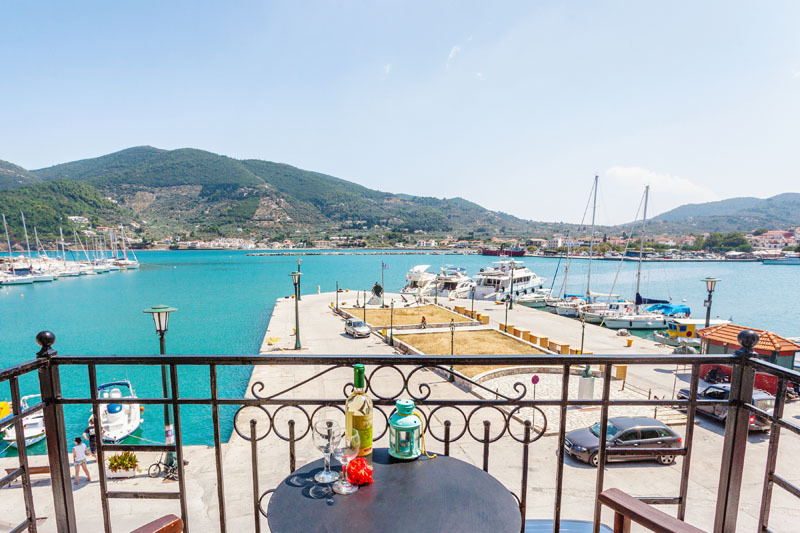 This is a perfect spot especially in the morning to sit back, relax, Greek coffee in one hand and a famous Skopelos cheese pie in the other and watch the town gently come to life. 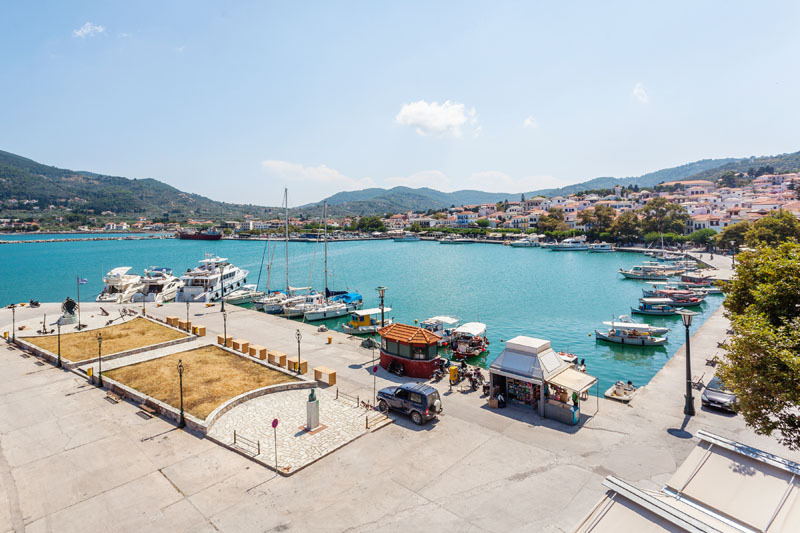 Faros Town House is only a few metres away from the harbour front which offers a good selection of shops, kafenions and tavernas serving the catch of the day. There is a spacious yet cosy feel. 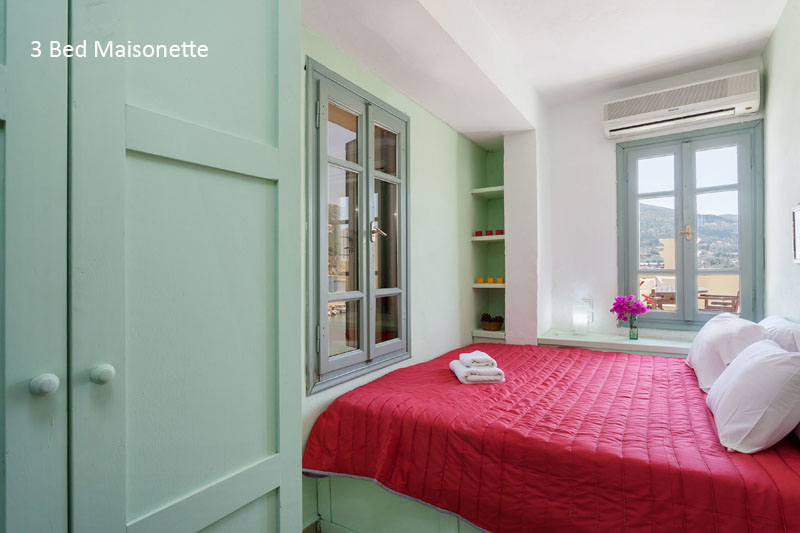 The one bedroom apartment is on the first floor and the three bedroom apartment occupies the upper floors. 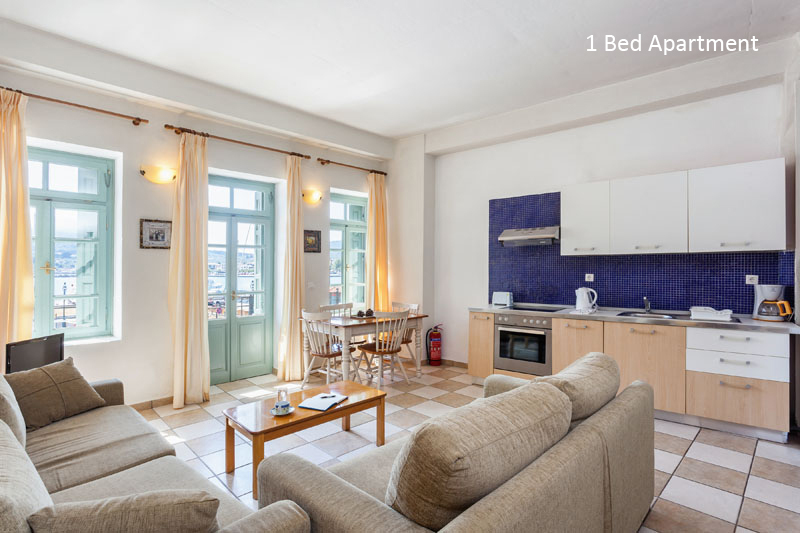 Both have a living/dining areas with a fully equipped kitchenette. 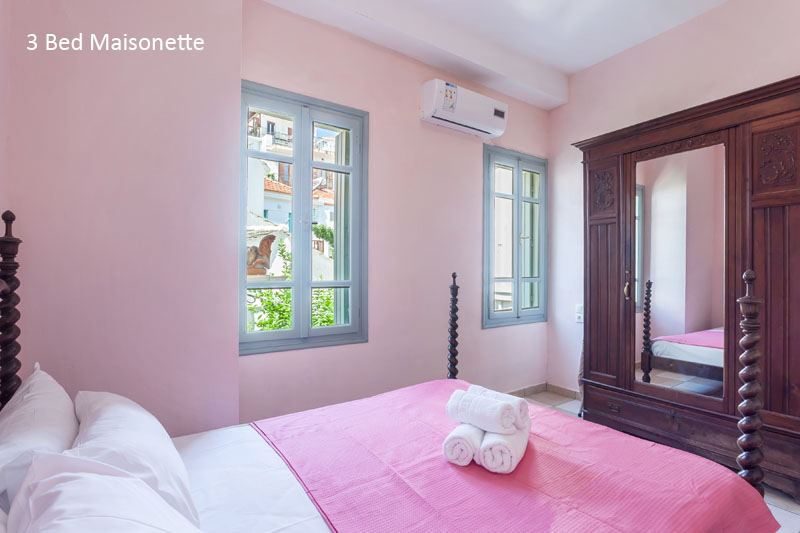 Faros Town House has been furnished with a modern yet Greek feel. 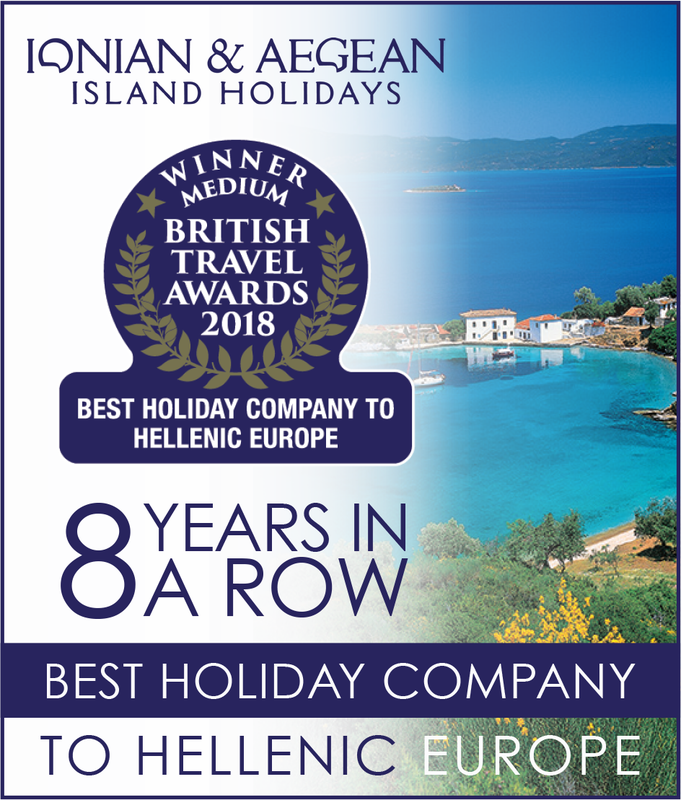 The apartments are ideal for both couples and families alike but being so close to the bustling harbour front of Skopelos Town you may experience some noise due to its close proximity to the tavernas and bars. 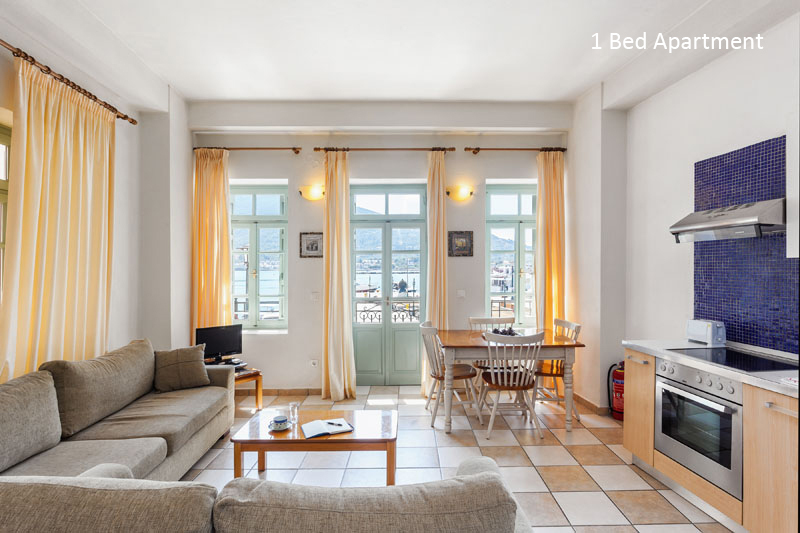 The one bedroom apartment has a double bed and a sofa bed in the living area which leads out to the balcony with that view of the harbour. 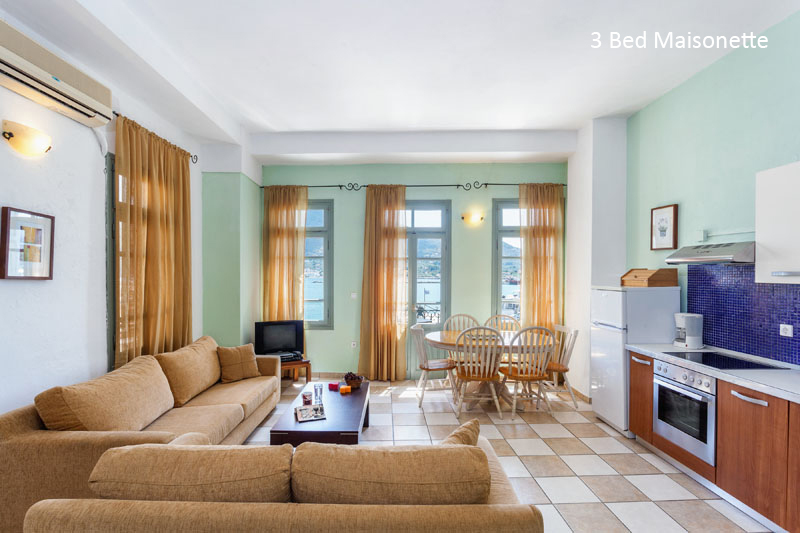 The three bedroom maisonette has three double beds. 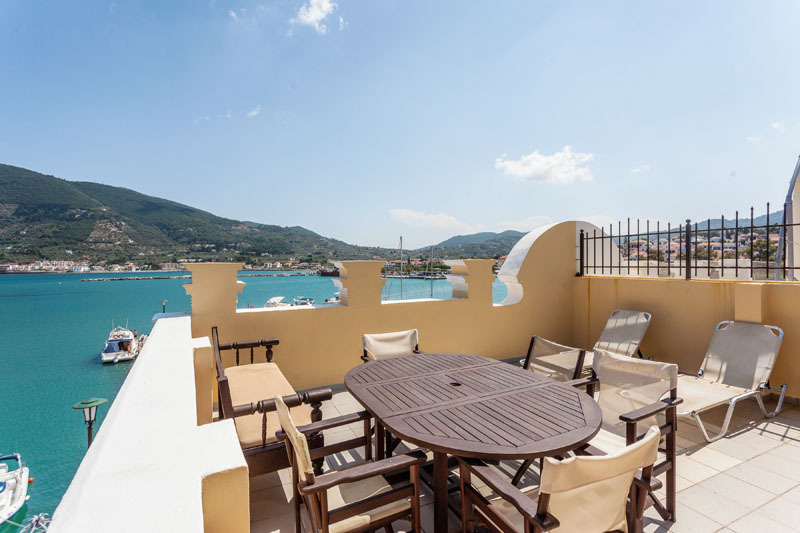 The view from the balconies is fantastic, the unique feature of three bedroom apartment is the wonderful roof terrace which gives a magnificent aspect of the colourful harbour. At night the view from the terrace over Skopelos Town is absolutely stunning. 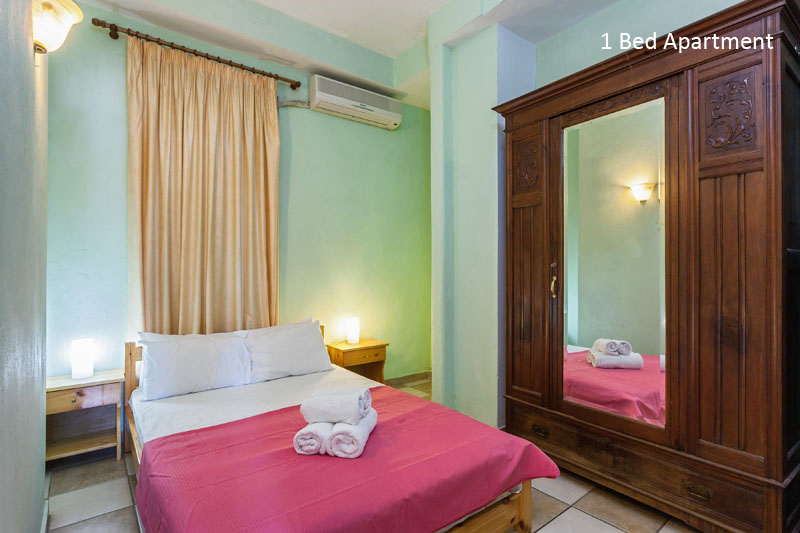 The Faros Town House is ideal for those looking for amenities on your door step.